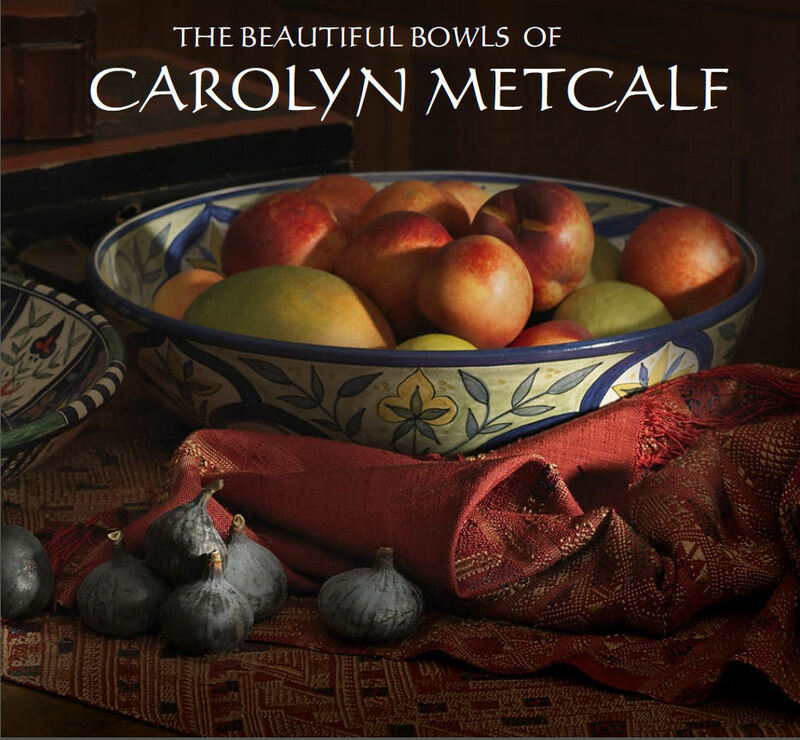 For many years now Carolyn Metcalfe has lived and worked across the road from a breeding colony of water birds (one of Montagu's well known landmarks) and she has observed, been involved with and come to love the Sacred Ibis. 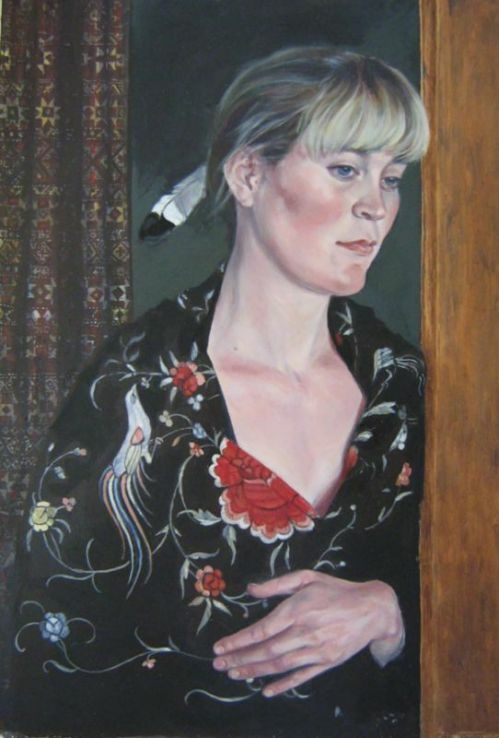 When she had to choose a name for the exhibition space needed for her paintings and ceramics a few years ago, given their beauty and grace, their significance in mythology and her love for them, Ibis Gallery seemed the inevitable and not at all prosaic choice. 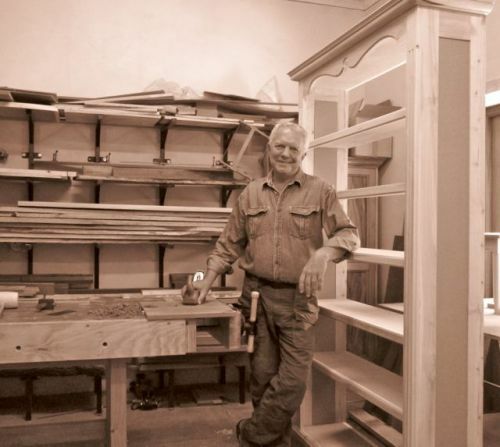 Recently Hennie Kok, a fine craftsman in wood now working in Montagu has joined forces with her. In the small and informal gallery, you can see Carolyn's pottery and artwork and examples of Hennie's furniture. 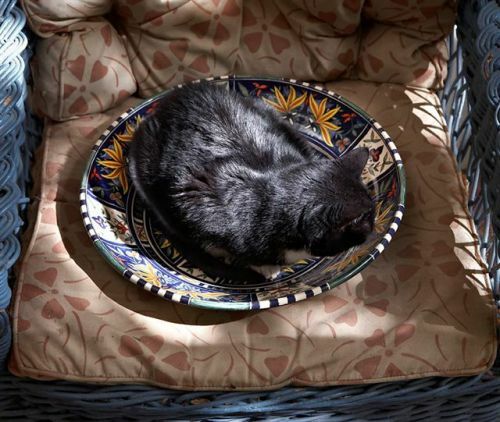 Carolyn shuttles between the gallery, where she decorates the maiolica that she makes, the painting studio and pottery, but Ibis is open every morning, or if not, Carolyn is available to do. 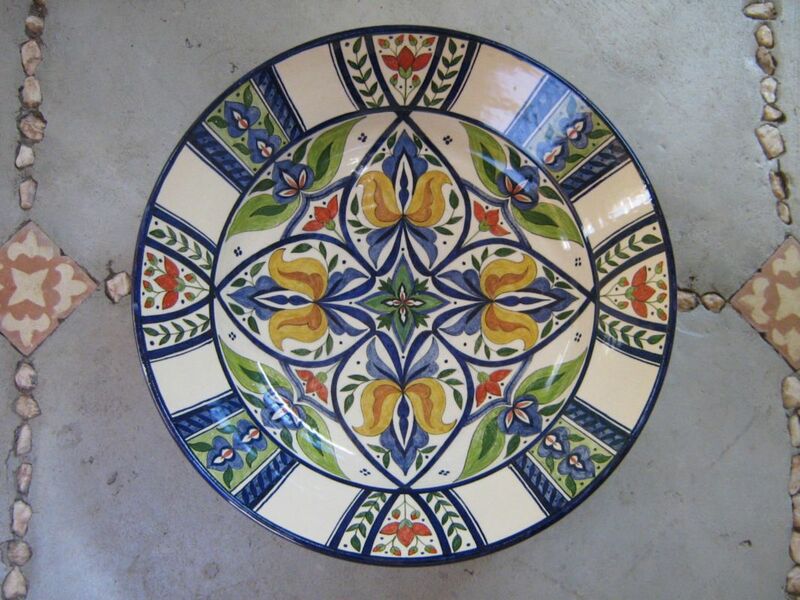 Beyond this you can take pot luck by ringing the bell, or contact either Hennie or Carolyn for an appointment. 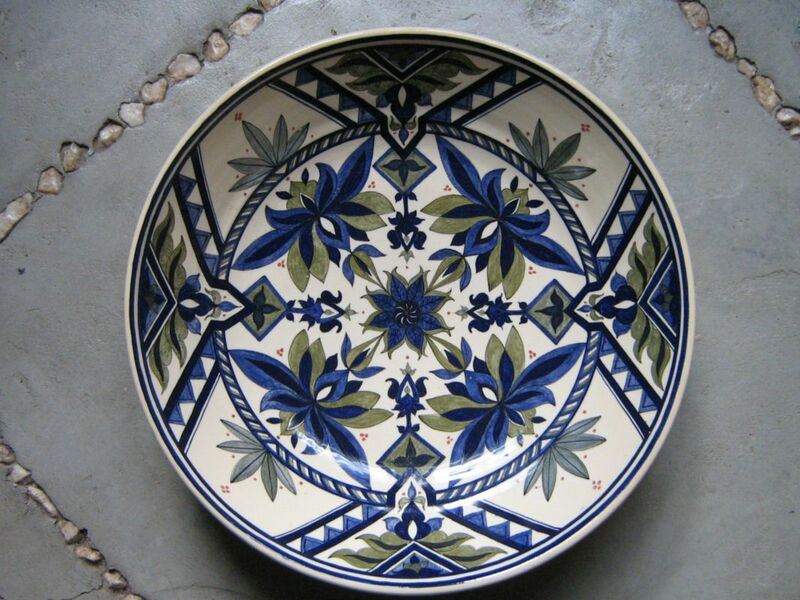 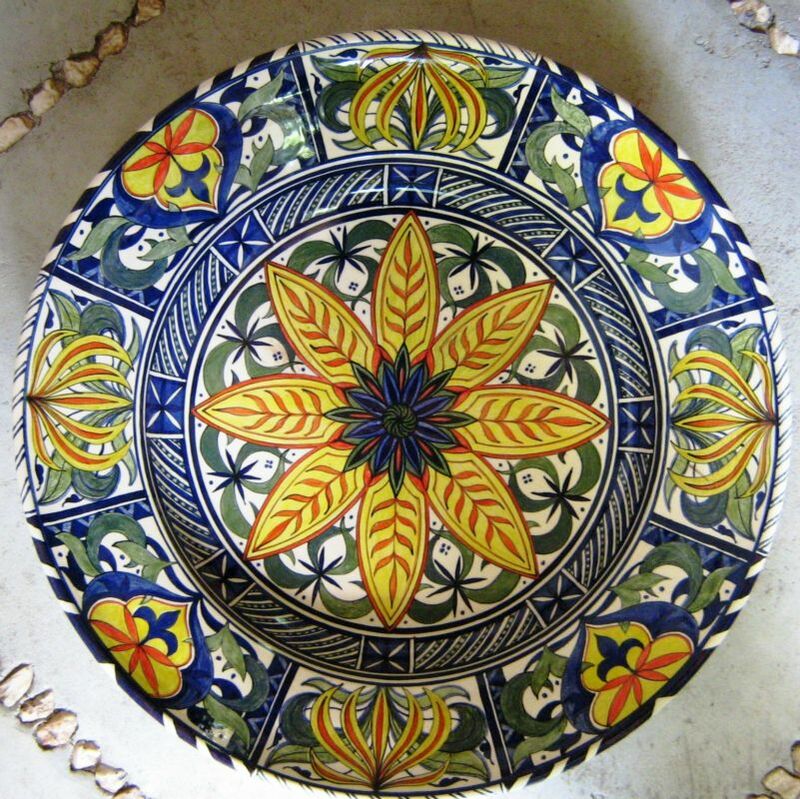 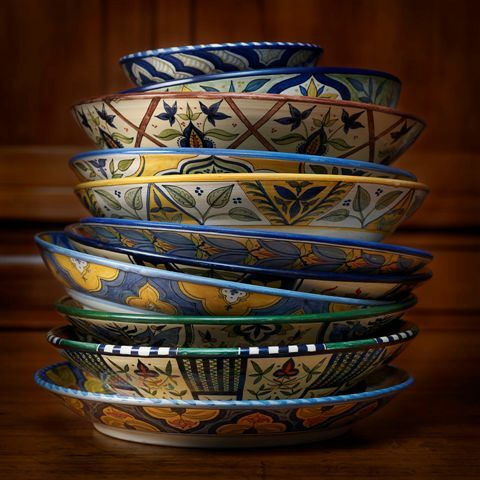 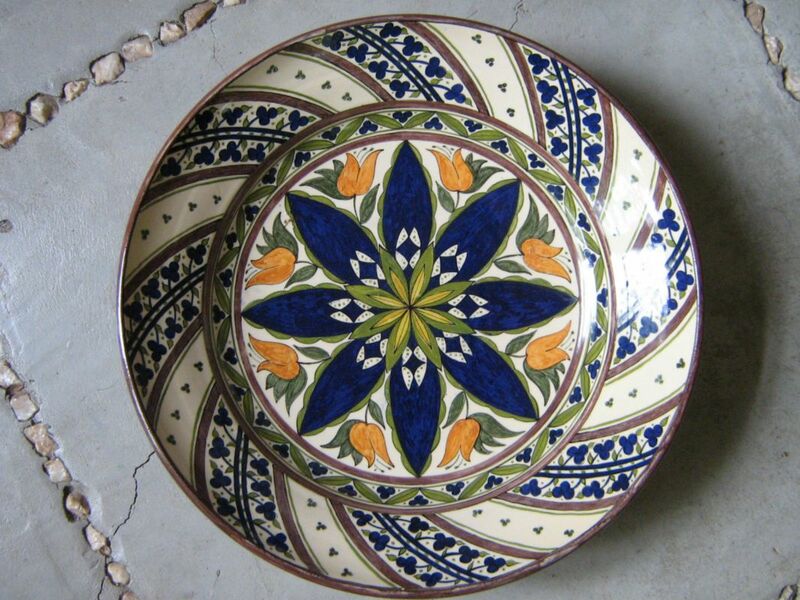 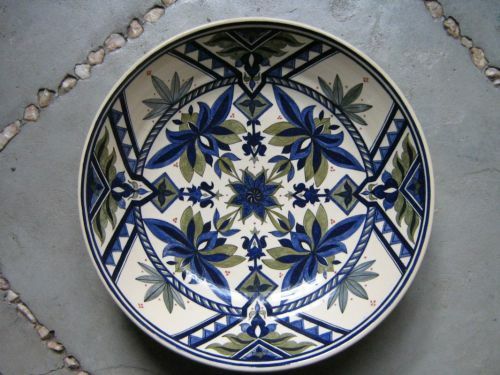 Ceramics: "I work exclusively in earthenware, producing large, richly decorated maiolica bowls, crosses, also garden pots and rustic terracotta cooking ware as well as Provencal style pottery. I hand throw and decorate everything myself". 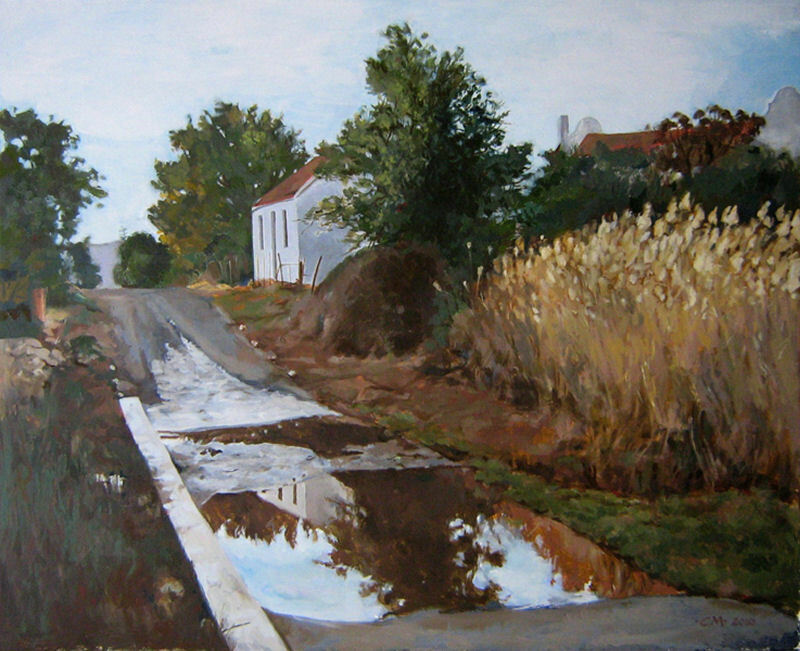 Art: Paintings in oils, water colours and drawings. 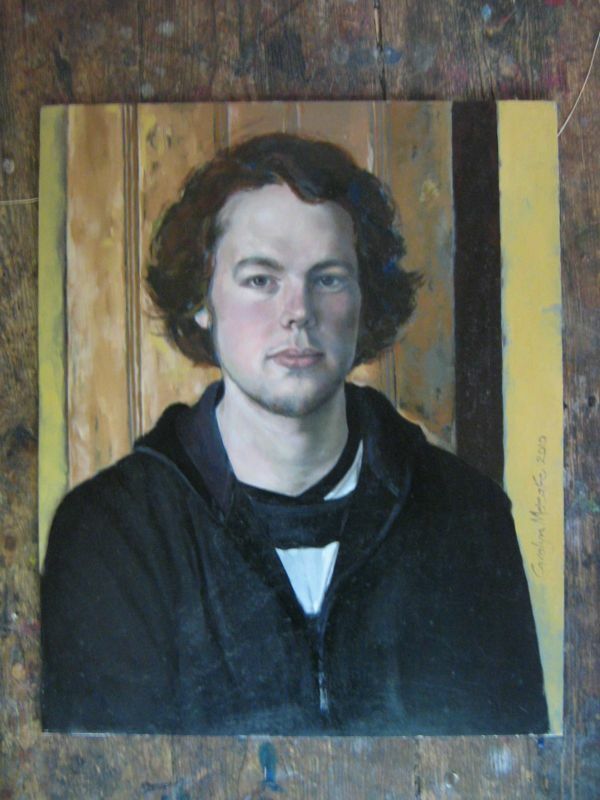 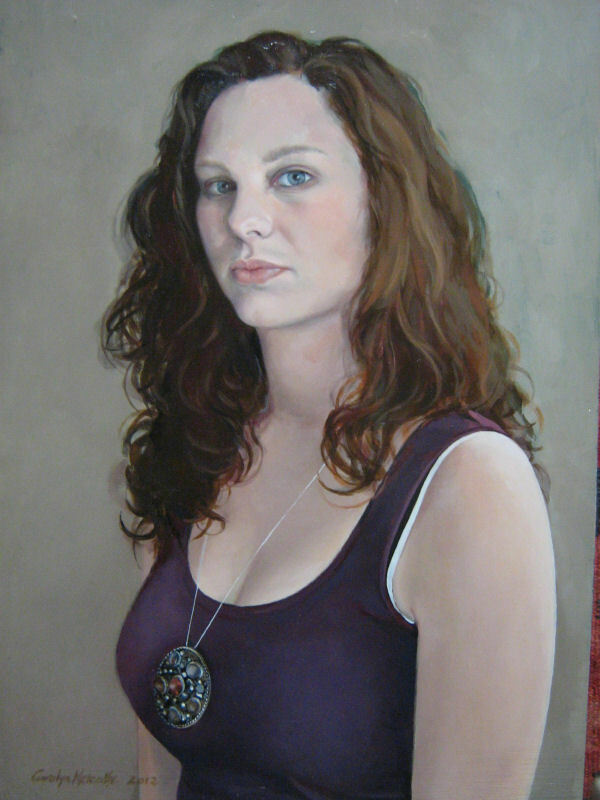 Subjects are landscapes, still life, animal studies and portraits. I accept commissions for the latter. 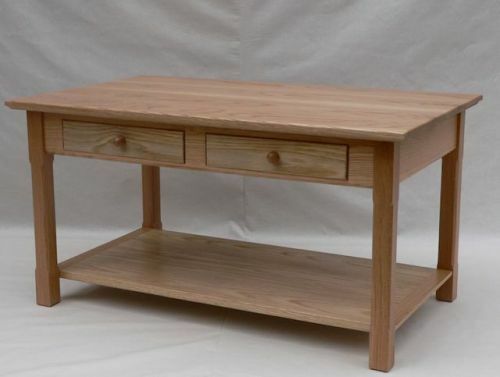 Furniture: Custom made in solid wood, working mostly in American country and Shaker styles.